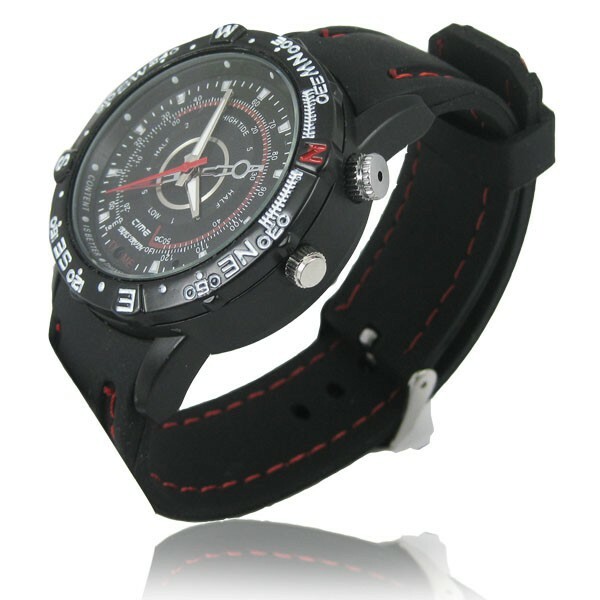 The sporty divers design that is extremely popular today makes this just the thing for covert surveillance operations. 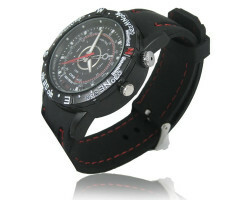 The stylish black and red face of the dial conceals a mini camera with a recorder capable of gathering both audio and video recordings as well as keeping track of time. 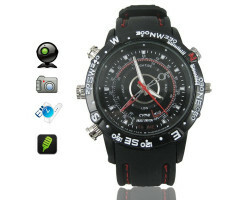 This watch isn't just a tool for measuring time. 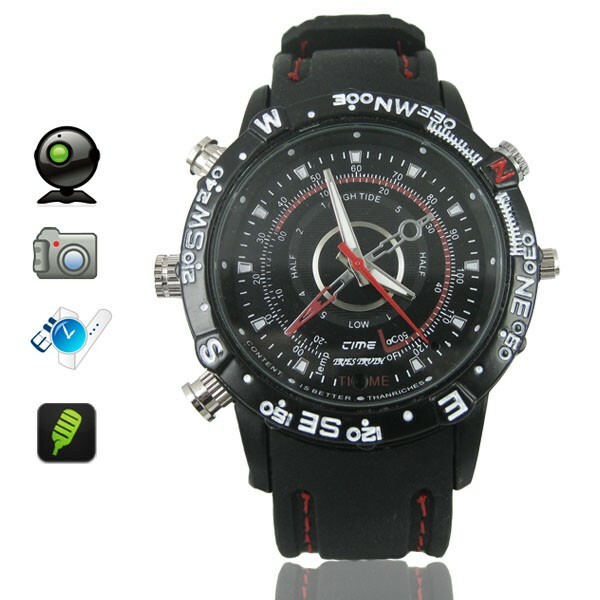 A water-resistant watch with a camera built-in. 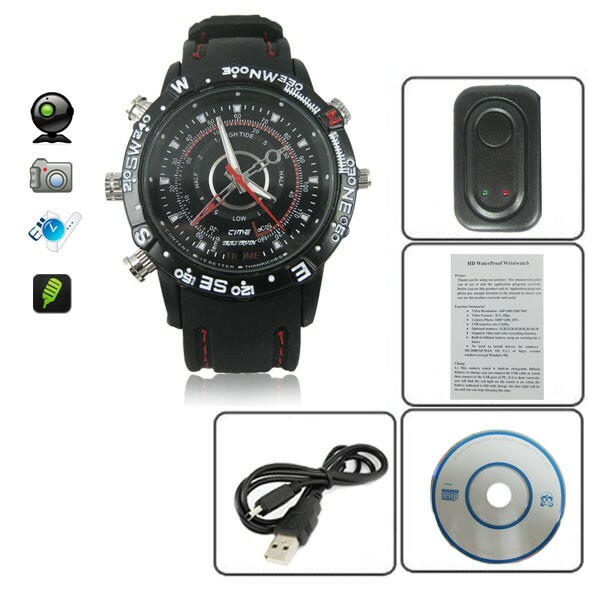 Wear the wrist watch, just press the record button to begin to record color video with crisp clear sound / voice. Totally covert no one can possibly detect the fact that your watch is a fully operational video camera. The recorded video has date and time which can be reset as you need it. 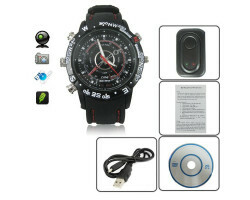 Please note that it is designed for 3 degrees (30 meters underwater) waterproof, and cannot be used as a diving watch.